Hey guys I don't know if you are a fan of FanFiction or short stories but I have a new book on wattpad.com/whenshekissedmethere please check it our or read it just for the sake of giving me feedback. Happy birthday! May it be a frosty birthday! Oh man. Thank YOU!!! sorry i haven't logged on in so long but thanks for the birthday wish. You're welcome. I know the feeling. I log in once or twice a week here. 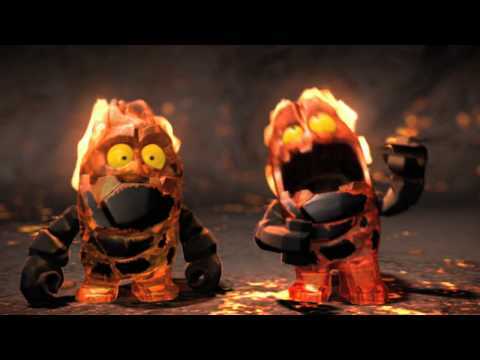 Two Lava Monsters are exploring their vocal abilities when they hit upon a tune... with disastrous consequences! Click http://powerminers.lego.com for more fun. "Happy Birthday to You"
Happy birthday! Have a ball! AFlowerNamedAmaranthia Ate the Brains of Sarah A.
AFlowerNamedAmaranthia updated her profile information. AFlowerNamedAmaranthia posted a comment on her poll "What is your choice of stress outlet ?". I must agree with you Ash -Rose. Writing is one of the best and least destructive ways to vent you stress. AFlowerNamedAmaranthia posted on Sofie Mia-Lettice's wall. Do you know Me ? Rewards For Perfect Scores! I have listed questions about myself and my life. You will receive rewards for perfect scores. Hey. Nice to make your acquaintance darling. My God. You're gorgeous. I mean just gorgeous.